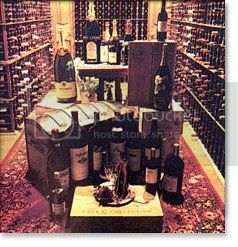 Cape May Uncorked … Wow! Free! Is there anything better than free? 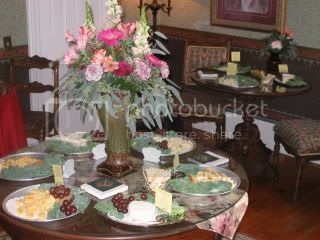 When the Washington Inn announced that they would be staying open every Saturday night all winter long, Anna Marie and I were so excited we got on the phone with the owner and put together a special 3 course “Wine Pairing Dinner” package. This new “Perfect Pairing” package will be available for sale all year long, but we’re giving it away free for 3 weekends this winter as a special promotion called “Cape May Uncorked”. As you can see, we’re almost as into catchy names as we are wining and dining. So here is the deal … book a large premium room for at least 2 nights on the weekends of Jan 20-21, Jan 27-28, or Feb 3-4 and you’ll enjoy a complimentary wine pairing dinner for two at the Washington Inn. This package will cost $100 every other day of the year (and will be worth every penny), but you’ll be enjoying it for free during these three weekends. That makes you look pretty smart, I’d say. If you book the Jan 20-21 weekend you’ll be enjoying a special “Slow Food” version of the package, which includes 2 additional courses, with the gratuity included as well (really smart!). 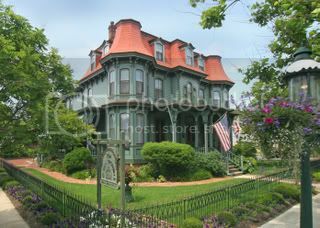 By the way, I just saw that the Washington Inn was voted the “Best Romantic Restaurant” on the Jersey Shore in 2011. Anna Marie and I love to celebrate Valentines Day. We don’t really need an excuse to celebrate our love for one another, but it is an excuse to do something really special for each other. 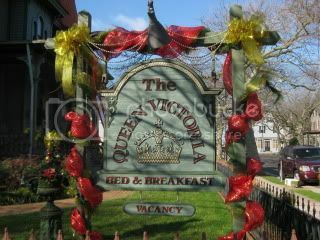 I can’t imagine anything more special than a trip to The Queen Victoria for a romantic weekend. Can you? This year the calendar has given us an opportunity to celebrate Valentines Day twice. Since the 14th falls on a Tuesday this year, you can celebrate your relationship with your loved one this year either the weekend before or the weekend after! You could come stay with us two weekends in a row, but I’ve got to say that would seem a little excessive, even to a romantic guy like me. So when will you be celebrating Valentines at The Queen Victoria? Give us a call and we can work it out together, whether it’s on the 14th or one of the weekends before or after. Remember, the really romantic rooms with whirlpool tubs and fireplaces are the first ones to rent! The only bad news is that you’ll have to wait until April to experience the new Carriage House Cafe & Tearoom. Personally, I can hardly wait. 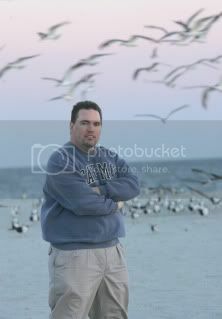 You probably agree with me that Cape May is a SPECIAL place. Well I have to say, it is really special this time of year. First of all, this is the Special Occasion Season. We all know that Cape May is the perfect place to celebrate those important moments in your life like birthdays & anniversaries. For those of us celebrating during the winter, what could possibly be better than a trip to Cape May? Nothing, of course! So, repeat after me … “Cape May is the perfect place to celebrate a winter anniversary or birthday”. Now, click your heals three times and call us to get a special price for your special celebration at The Queen Victoria this winter. Yes, we’re offering some great specials this year. I can hardly believe it, actually. I’ll be telling you all about them in this newsletter, so I won’t go into details here, but suffice to say that staying at The Queen Victoria hasn’t been this easy or affordable in a long time. The Princess Louise room has always been one of my favorite rooms. It is bright, cheery, has a view of the beach from two windows (including the bathroom so you can check out the beach scene while you’re brushing your teeth), and has plenty of room. There was always one thing that I didn’t like about the room, though. The floor was a mess. Yes, it was the original pine flooring with lots of character. Too much character, in fact. Last year we made the executive decision to replace the floor and now the room is perfect! I really do love this room. Like all the rooms on the third floor of the House of Royals it has a sloped outside wall which give the windows depth and character (good character). 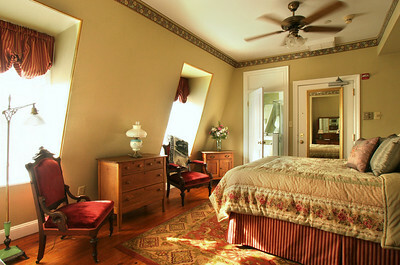 Even though it is a third floor room, the ceilings are 9 feet high, making the room feel really spacious. If you are still searching for your favorite room at The Queen Victoria, I suggest giving the Princess Louise room a try next time. I think you’ll be glad you did. Remember those really great specials I mentioned earlier (above), well this is one of them. Last year we offered a “Living Social” deal that was 2 mid-week nights in a Luxury Suite with a wine tasting and some tours for $295. We sold 200 of them in 6 hours! The Winter Escape was modeled after that package, but was designed to be an even better deal. So what is the Winter Escape? ANY 2 nights (including weekends) in a Premium room, free wine tasting for 2, dessert at Lucky Bones (with the purchase of dinners), and a discount on a magnificent cheese tray at Seaside Cheese (to use with your wine tasting) for only $295. The Winter Escape is good through the end of March 2012. It excludes the weekends of Feb 10-11 & Feb 17-19. 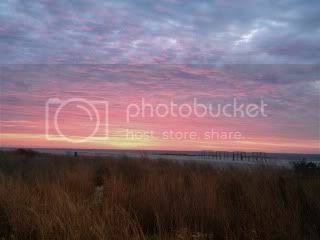 Photo: the first Sunrise of Winter on the Cape May Beach. Come see it for yourself this winter! Have you ever said to yourself “I wish we could stay another day” as you’re walking out the door of The Queen Victoria? I hear it from somebody almost every day. OK, so Anna Marie and I have decided to make it easy for you to stretch your next 2 night stay with us into a 3 night stay by offering your 3rd night at 1/2 price. Though we’re calling this special the “Sunday Stretch”, we’re not really limiting it to Sundays. Actually, the only restriction is that your “stretch” night can’t be a Friday or Saturday. This special runs through April 15 and excludes the Sunday of President’s Weekend (February 19). Photo: Winter Sunset, stretching the day out. 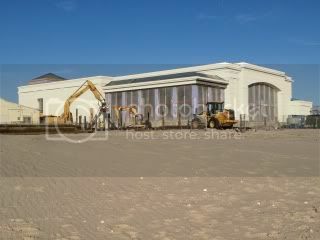 As you can see from the photo (taken from our beautiful winter beach), our Convention Hall is really taking shape. The whole western side of the building exterior is complete, and plastic covering the front windows gives you a bit of an idea what the front of the building is going to look like. What you can’t see is all of the work being done on the interior systems, including plumbing, electrical and HVAC. I know that lots of you are questioning whether or not the project will be done by Memorial Day. I’m of the opinion that it probably will come in on time. Being shamelessly into self promotion, I can’t resist a good photo of The Queen Victoria sign. Who could? Beyond a good shot of our sign, however, it allows me to talk a little bit about our Christmas season. The Christmas season is always special in Cape May and at The Queen Victoria (remember, the Cape May Christmas phenomenon was started by The Queen Victoria). 2011 was no exception. In fact, I think this was our best Christmas season ever. I think what I love most about a Cape May Christmas is that everybody is so excited to be here and they are really enjoying the season. So much of Christmas these days is commercialized and in your face. 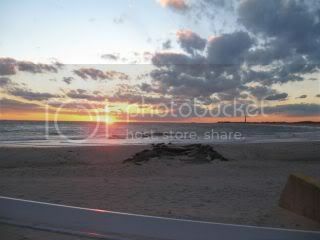 Taking a couple of days in Cape May slows things down a little bit and lets folks really enjoy the season. It isn’t all about gifts and Santa Claus and all the stuff we’re inundated with all the time. One of the things I love the most about Cape May are the cultural offerings that exist here, including MAC’s Music Festival, the Cape May Jazz Festival, Cape May Stage, East Lynne Theater, the Food & Wine Festival, and, significantly, the fairly new Cape May Forum are a huge part of what makes Cape May an incredible place to visit and live. There really wasn’t any doubt about which restaurant we would be featuring this month. With the very surprising announcement that they would be open every Saturday this Winter, the excitement and “news” factor was just too great to ignore. 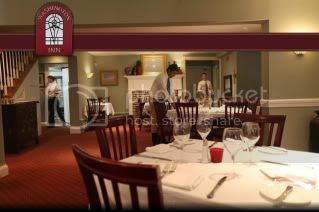 The Washington Inn is considered by MANY to be the best restaurant in Cape May. It is certainly one of our absolute favorites. 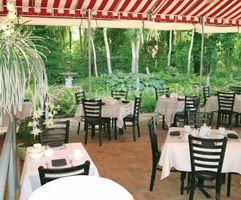 The food is consistently excellent, the service impeccable, and the setting romantic. What more could anyone ask for from a restaurant in Cape May? 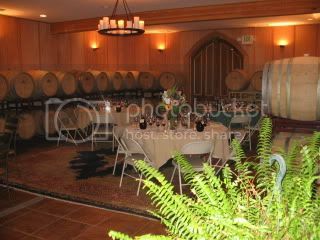 I’ve already mentioned the wine pairing menu that the Washington Inn has put together for our “Perfect Pairing” package. Honestly, I couldn’t be much more excited about a dining package. The fact that we’ll be able to offer it every day of the year that they are open is a big part of that. This is a great value that you will absolutely want to take advantage of on your next visit if you enjoy wine and great food.